James H. “Jimmy” Robinson, 76, of N. Gorham St., Fayette, died unexpectedly Friday morning, February 23, 2018, at ProMedica Toledo Hospital. Born Christmas Eve 1941, in Welch, WV, he was the son of the late Thad “Charlie” and Hazel (Gentry) Robinson. Jimmy lived his formative years in West Virginia. During his high school tenure, he moved with his family to the Detroit area, where the family sought employment at Tubular Products. After graduating from Walled Lake Central School in 1960, Jimmy was drafted into the US Army and served overseas during the Vietnam War. After his military service, he began work at Fayette Tubular Products, and made his home in Fayette. He met the love of his life, Peggy Gallippo of Waldron, MI, and they married on October 25, 1969. Jimmy had lifelong memberships with the Hudson American Legion Post 180 and the VFW. 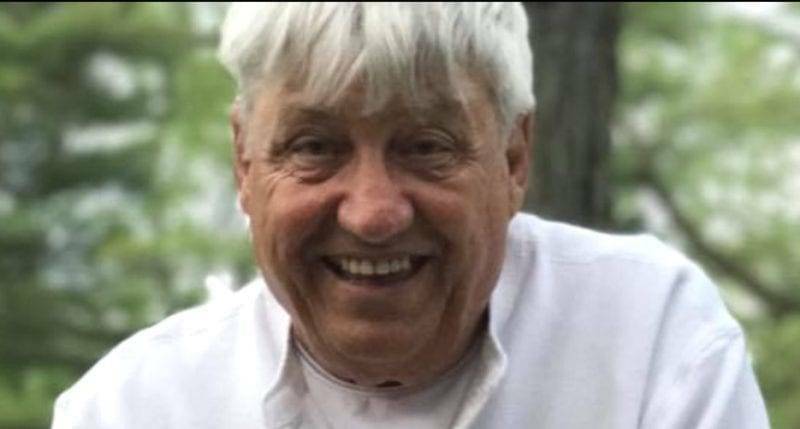 He was an avid outdoorsman, and enjoyed the sports of golfing, fishing, boating, and snowmobiling. He was a talented woodworker, and built many pieces of furniture for various family members. In his retirement he enjoyed cruising on his scooter and golf cart and wintering in Missouri and Florida. Jimmy was always a proud fan of the Detroit Lions. Surviving to mourn his loss are his wife of 48 years, Peggy; two daughters, Kimberley Smith of Joplin, MO and Velvet Randall of Fayette; a brother, Bill (Jean) Robinson of Cocoa, FL; three sisters, Jean Lundy of Cocoa, FL, Bonnie (Meyer) VanDam of Morenci, MI, and Betty Ann Collins of Fayette; three grandchildren, Kamren, Dravin, and Kaitlyn Randall; numerous nieces and nephews; and his beloved canine companion, “Little One”. Jimmy will also be sorely missed by countless friends. In addition to his parents, he was preceded in death by a brother, Claude “Buddy” Robinson, and a grandson, Tylin Smith. A memorial service for Jimmy will be held on Tuesday, February 27, 2018, at 5:00 p.m. at the Eagle Funeral Home in Fayette with Pastor Paul Baker officiating. Military Rites will follow the service. The family will receive friends for a visitation for three hours prior to the service, beginning at 2:00 p.m.
Memorial contributions in honor of Jimmy can be made to the Fayette Church of the Nazarene. Friends can share memories and words of comfort with the family online at www.eaglefuneralhomes.com. Be the first to comment on "James Robinson (1941 – 2018)"